Trent Horn regularly appears as a guest on Catholic Answers, a radio program I frequently enjoy, fielding questions from callers and impressing me with his intimate knowledge of both the Bible and the Catechism. Granted, they’re bush league questions, most of which could be answered using Google. Still. His voice is pleasant enough, his knowledge evidently vast, and, given his tone, it’s clear he has a big heart and wishes to help. 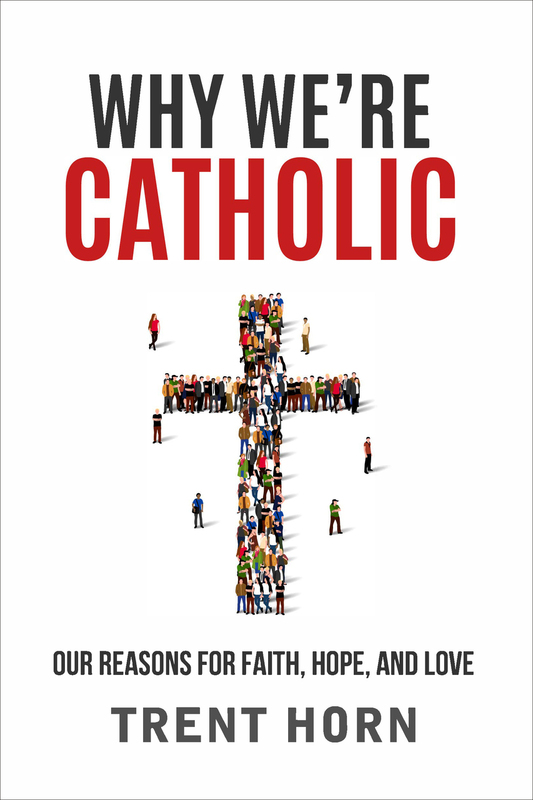 When, over the course of the radio program, the host advertised Mr. Horn’s book, Why We’re Catholic, I immediately ordered a copy, anticipating a more thorough examination of the faith than a radio format could provide. You see, while Mr. Horn’s radio responses were neither exhaustive nor sufficient, I’d assumed this had to do with external factors – the host’s intermittent announcements, quarterly fund drives, callers taking forever to ask their questions, and other interruptions. Plus, much of my time spent listening was complicated by additional tasks – dressing for work, driving to work, cooking dinner, etc. I don’t want to disparage the author Mr. Horn, but my first issue with this book is with the title. If you were to pick up a book called Why I’m a Capitalist, would you expect the first few chapters to deal with why the author isn’t an anarchist? Notice anarchy is the absence of government whereas capitalism isn’t a form of government at all but rather an economic system. I combine unrelated ideas here only to illustrate my point. 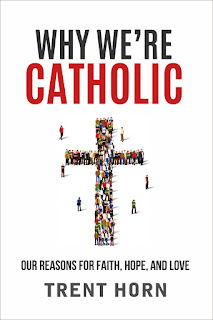 Why We’re Catholic lacks focus, and, as a result, the book short changes each and every element of faith it haphazardly tackles. For example, in one short chapter Horn devotes only a few pages to epistemology, the study of how we know what we know, while serious philosophers have penned volumes to develop their theses. Another brief chapter reduces an argument as old and as eminent as Aristotle himself, the cosmological argument, to little more than bumper sticker slogans. Neither of these chapters, by the way, makes an effort to differentiate Catholicism from any other faith. In fact, the first five chapters do nothing more than establish theism, and not well, I might add. Not until chapter six “Why We Believe in Jesus,” do we begin to distinguish one faith, viz Christianity, from another. However, Horn has very little to say about Catholicism specifically until chapter ten, “Why We Aren’t Bible-Only Christians,” and even then what he has to say isn’t always clear. Indeed, at a mere 240 pages (including the Endnotes, which, incidentally, proved more authoritative and readable than the book itself), Why We’re Catholic reads more like a glorified tract than a book. I’m not arguing for verbosity. I don’t require a book twice the length of this one before taking it seriously. Nor do I demand a scholarly tome by an academician writing exclusively to his peers. Not at all. 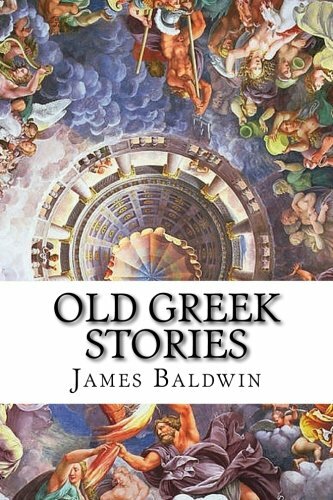 I’ve enjoyed reading numerous notable, classic works of philosophy written specifically for laymen by some of the greatest minds ever to print their thoughts. But these great minds were also adept at communicating their ideas. They understood their audiences. In most cases, they also anticipated their intellectual opponents’ objections and provided answers for those dissenters. Mr. Horn is a poor imitator. The writing itself is first draft quality. Trains of thought venture nowhere. Visualize the surface features of a landscape rich in ascending peaks and deep valleys. This is the beauty, variety, and mystery of religious faith. Now watch as Mr. Horn zooms over this varied topography with his sonic jet style writing so that said landscape is but a blur. This is presumably done in an effort to prevent the average reader from becoming bored by the subject matter. Here’s a thought: don’t write for such people. Make a series of videos instead. An audiobook. A PowerPoint presentation at select churches and colleges. Of course, I can’t speak for all readers, but ages ago, when I was an atheist, this approach only reaffirmed my disbelief. I submit that treating these serious subjects so casually does more harm than good. In short, dumbing down the material in an effort to appeal to a wider audience risks turning away the more sophisticated readers who seek meaningful answers. I don’t want to be unkind (it may be too late), but Mr. Horn has access to nearly 2,000 years of Church history, with some of the greatest minds ever to put quill to parchment to draw from. He also has volumes of sophisticated philosophical input by the likes of everyone from Aquinas to Kreeft at his disposal, and yet this Cliff Notes summary, this Reader’s Digest version, is the work he submits to his publisher. Needless to say, I was embarrassed for both him and the faith. I have only myself to blame, though. I tend to forget walking encyclopedias aren’t necessarily logicians or even decent writers. I understand the print medium lacks the benefit of a personal conversation, the back and forth interaction that allows two people of differing views to articulate precisely what they think and to clarify their position as necessary. For that reason, knowing how to address a reader’s unease and satisfy his concerns in print can be difficult. But solutions abound. For one, Mr. Horn could’ve taken a page from the great essayists and approached the book entirely differently by quoting liberally from the great authors of the faith as it pertains to each chapter – “Why We Believe in Purgatory,” “Why We Honor Mary,” and so forth – rather than confining these quotes to the back of the book in the Endnotes. After all, Mr. Horn isn’t promoting an original idea here. Instead, he’s essentially summarizing Church doctrine in a nonchalant (I’d argue frivolous), superficial, way. Such a tone would significantly benefit from quoting the greats throughout.